Among the people you might find at the headquarters of the Queer African Youth Network (QAYN) is a motorcycle mechanic. Her journey to this LGBTQ safe space was rough. After refusing to be married young, she fled to Ouagadougou, the capital of Burkina Faso. Here, with no family or community support, she had to forge a life for herself. She started fixing motorcycles — a popular mode of transportation in the city — and eventually established a career as a mechanic. But it was not until QAYN opened their headquarters, a combined office and community center, that she had a reliable place to go where she could fully be herself as a lesbian. In a context where family is at the heart of identity and anti-gay attitudes are pervasive, LGBTQ people experience acute isolation. The QAYN headquarters was the first-ever safe space in Burkina Faso — and one of very few spaces in the entire region — where LGBTQ people are safe to be their authentic selves, create their own chosen families, and discuss issues related to gender and sexuality. Coming together like this is a first and crucial step in advocating for the human rights of queer and trans people across the region. Despite challenges, QAYN has already been a game changer for the LGBTQ movement in Francophone West Africa. The feminist, queer, women-led group is revolutionary in a region where women’s and LGBTQ rights movements are often disconnected from one another, with the specific concerns of queer women silenced or sidelined in both movements. QAYN is also bilingual (English and French), and the simple fact of their French-speaking leadership has the potential to transform a landscape in which there is almost no infrastructure for Francophone LGBTQ organizing. In 2014 and 2015, QAYN produced five reports on the experiences of LGBTQ people in Francophone West Africa, including a mapping of existing social justice movements and their perceptions of LGBTQ rights and an unprecedented project documenting the complexity of the sexual practices and sexual orientation of women in four West African countries. As the world tries to interpret and respond to anti-gay sentiment in Africa, QAYN is one of very few LGBTQ-led, Africa-based organizations documenting and telling the world about their own lived realities. 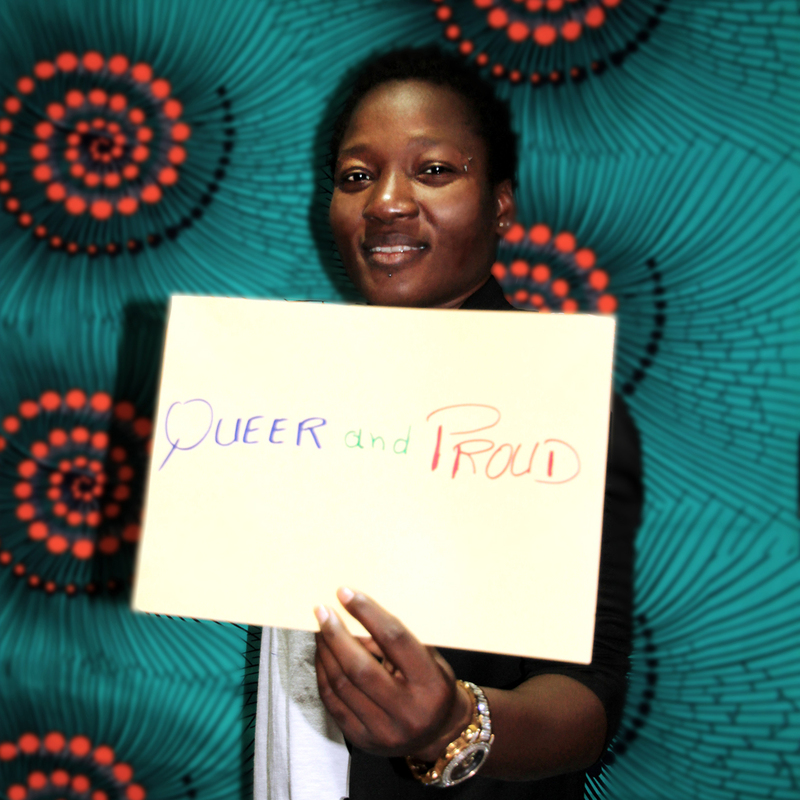 In the last two years, QAYN has worked with allies to stop the introduction of an anti-homosexuality bill in Burkina Faso, mobilize resources for West African LGBTQ advocacy, and guide a process to establish an LGBTQ activist-led fund in the region. This is how movement building happens: action by action, connection by connection. Queer women and their allies are building a Francophone West Africa where they and all people can live free of violence, free of criminalization, free to lead self-determined lives. Newly emerging groups in Francophone West Africa led by queer women activists look to QAYN for guidance, support, and connections to local and regional networks. Since 2012, we have provided general operating and travel support that has contributed to increasing the organization’s capacity and supported its multifaceted, community-rooted work. Scant funding goes directly to LGBTQ organizations and activists in Francophone West Africa. The funding streams that do exist have historically flowed toward organizations founded in response to HIV/AIDS and still prioritize gay men over queer women and transgender people. In addition, QAYN’s attempt to register with the government as an openly LGBTQ organization in 2011 has not received an official response from authorities. This limits its access to conventional funders whose grantmaking criteria often requires legal registration. Still, QAYN presses on with the conviction that grassroots organizing can and must happen and connects with funders who are open to experimental and alternative models. In alignment with our Francophone West Africa strategy, QAYN is building a queer-women-led movement to advance the human rights of women, girls, and LGBTQ people in the region. We believe their bold, brave work deserves bold, brave funding.